From TheHill.com, By Rebecca Shabad, 08/27/13 – Sen. John McCain (R-Ariz.), one of the members of the “Gang of Eight” who crafted immigration reform legislation in the Senate, said Tuesday that the time following the House of Representatives’ return from summer recess will be critical “in the life or death” of immigration reform. 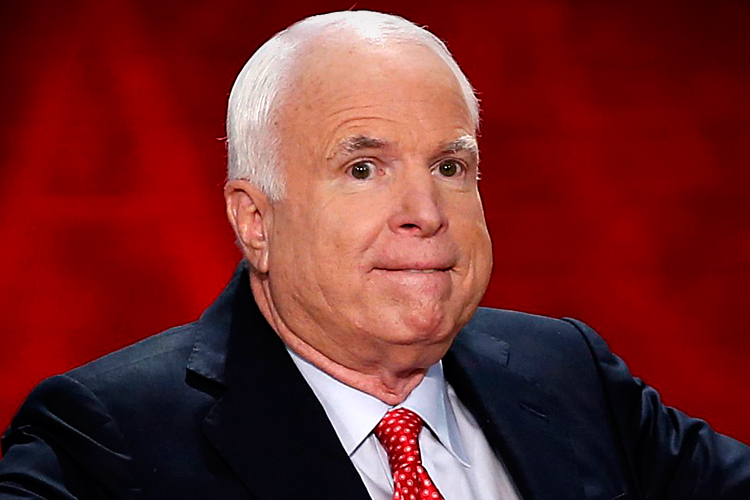 McCain discussed the bill at a town-hall meeting with his junior colleague, Sen. Jeff Flake, (R) in their home state at a roundtable focused on the issue, hosted by The Arizona Republic, 12 News, and azcentral.com. From RedState.com, By: Daniel Horowitz (Diary), July 31st, 2013 – No agency better exemplifies the malfeasance of this administration than the ATF – Bureau of Alcohol, Tobacco, Firearms and Explosives. This same organization that was involved in the most egregious gun running scandal in American history (Fast and Furious) is also prosecuting law-abiding gun owners with zealous furor. Yet, Senator John McCain has just ensured that the man who was at the scene of the crime gets confirmed as the next permanent director of ATF.